When we hear the word “stillness” we immediately think of it as the opposite of movement - but stillness is something quite different altogether. Stillness is an energetic quality of being. It is naturally present in the heart of every human being, equally so. Sometimes after a few cups of coffee or a fight we might not feel it, but it is still (pun intended) always there – it is only us who have chosen to disconnect from it. So, why is it so difficult to be still if Stillness is our natural state of being? It seems as if everything in the way we choose to live takes us away from ourselves. The constant distractions, being ‘too busy’, noises, stress, emotions, stimulating food and drink, ideals and beliefs, protective mechanisms, anxiety – you name it – and this way of life then becomes our daily lived experience which we perceive as “normal”, when it is not and we allow it to perpetuate. But still, the stillness is always there and is so needed, longed for and worth reconnecting to. As the audio below presents there is great Joy in Stillness. We move all day long - so how important is it to know that the way we move can either make us exhausted or be joyful? The word stillness comes from the Middle English word stillness via the Old English stilnes, ‘meaning silence, absence of noise or disturbance, tranquillity, quietness and absence of movement’. The root still appears to derive from the Old English stille, related to the Old German stilli, meaning ‘be fixed, to stand’. It is also related to the Classical Greek word stele which means ‘a post’. In Latin the word for stillness is silentium meaning ‘silence and immobility’. Similarly, the Sanskrit word for stillness meant ‘immobile’. The history of the word shows how across different languages, stillness has been used with the meaning of silence, immobility and quietness or it has been perceived as something fixed or something that stands still. Indeed, according to contemporary dictionary definitions Stillness is described in terms of being; ‘motionless’, ‘stationary’, ‘silent’, ‘subdued’, ‘gentle’ etc. but as we have seen, it is a fallacy to believe that stillness is simply the absence of motion or sound and an even greater one to not acknowledge the incredible power that true Stillness contains. Stillness requires a surrender, but what exactly are we surrendering to? Stillness is a choice. It can be felt by living in a state of presence where we remain connected to ourselves and are completely present in our body. We are at one with everything, and everyone in all that we do. Life flows with a simple rhythm – the rhythm of our stillness. In this quality of presence there is something that ‘stands still’, but it is not absent of physical movement. Rather, it is our beingness that remains unaffected by any movement, action or doing even though it moves, acts and does. It is the depth of the ocean unaffected by its waves. It is the ability to surrender to our inner-heart and live from here in all that we do. Therefore, Stillness is not something we have to go in search of nor is it a journey into escapism or numbness. It is where we come from and what we are innately made of and thus it is our natural state of being. The Gentle Breath Meditation™ is a great way to reconnect to our essence where Stillness can be found. At the Unimed Living Meditation Sphere, you will find many free Gentle Breath Meditations and also articles such as this one that practically share the benefits of bringing Stillness to life. Stillness is a member of the Soul family, together with Love, Truth, Joy and Harmony. 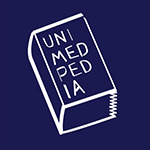 You can read more about each of these words with Unimedpedia.